Current resuscitation guidelines recommend the use of a T-Piece device with the potential benefits of achieving controlled target Peak Inspiratory Pressure (PIP) and delivering consistent Positive End Expiratory Pressure (PEEP) to help Functional Residual Capacity (FRC) and improve lung volume. 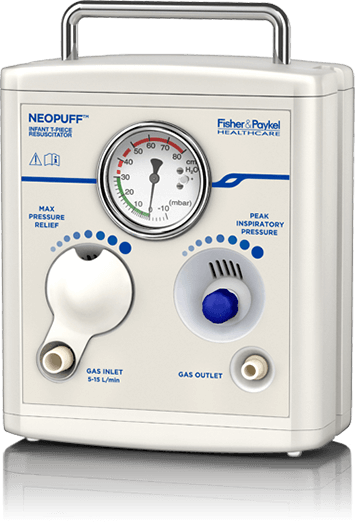 Includes: Gas Supply Line (900RD009), Gas Inlet Adaptor (900RD101), Test Lung (900RD020-01), Spare Max Pressure Relief Cap, Animated User Guide (CD), Operating Instructions and Product Technical Manual (CD). 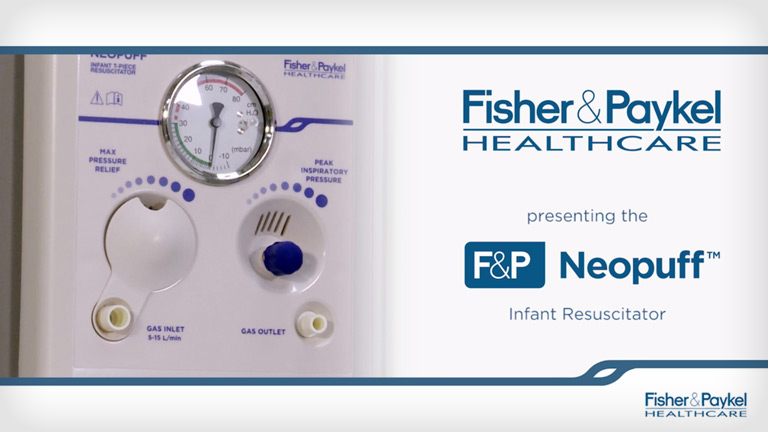 Watch this short video for guidance on how to set up and operate the Neopuff.